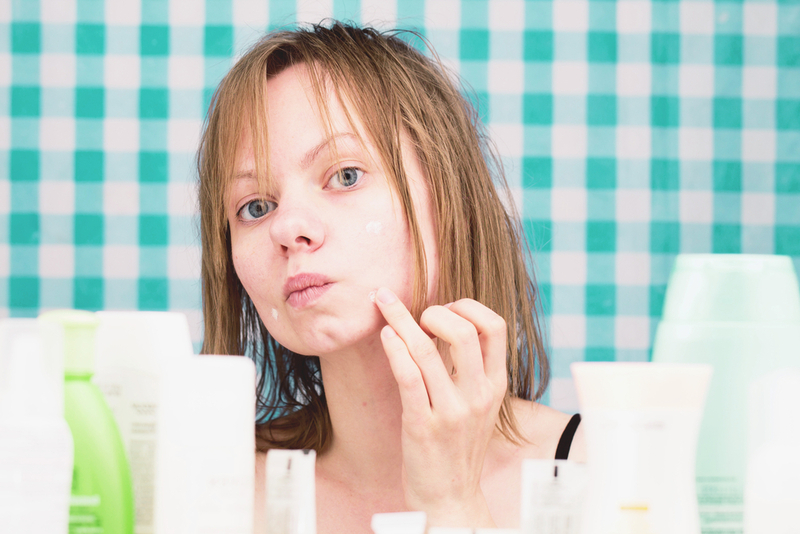 Key skincare ingredients for acne: What should you look for? Acne is one of the commonest skin disorders, which affects nearly 80% of the population at some point in time. Choosing the right products with effective ingredients is vital otherwise you may inadvertently be making the problem worse. Information in this day and age is easily accessible and not all of it is accurate or of good quality. Beauty fads come and go. Care should be taken to seek advice from trusted, reliable sources. One should be wary of simply accepting a brand endorsement or product that your favourite influencer is snapped with on social media. Facial oils are a good example of this. The premise that “like dissolves like” or oil will dissolve oil during cleansing with a facial oil is a flawed argument. Indeed, the oils used in cleansers are very different to the natural oils found naturally in your skin. Unless you have dry to very dry skin types, I would suggest you stay away from these altogether as many can be “comedogenic” or have the ability to block pores leading to spots. Good-quality skincare need not be expensive or complicated. More often than not, it comes down to using products that contain the right ingredients. Hefty price tags usually go towards marketing and packaging. It is easy to be drawn in by expensive items in attractive bottles with seductive fragrances – the beauty industry is well aware of this – it is how it makes you part with your money. However, chances are that these are not any better for your skin than a bland-looking counterpart from your local drugstore at a fraction of the price. So with this in mind, what are the top key ingredients you should be looking for when it comes to acne or blemish-prone skin? This can be found in washes, creams and lotions and has both anti-bacterial effects against the acne causing bacteria, P.acnes, as well as an anti-inflammatory effect. It is available in strengths of 2.5-10%. Even lower percentages of benzoyl peroxide work well and it is not necessary to jump straight for the product that contains 10% active ingredient. Skin irritation can be a problem and may manifest as redness, stinging and dryness. Common AHAs used in acne skincare include glycolic and lactic acid, which can be found in washes and leave-on products such as toners. Glycolic acid is derived from sugar cane and lactic acid comes from sour milk. Both agents exfoliate the upper layer of dead skin cells known as the stratum corneum. Over time and consistent use, these products can help prevent acne formation. This is a beta-hydroxy acid (BHA) that is commonly used in skincare. It has better effects than glycolic acid in the treatment of acne as it has the ability to penetrate not only the upper layer of skin cells but also the sebaceous or oil producing gland. It has both anti-inflammatory and comedolytic effects – this means it will break down blackheads, unblock pores and generally decongest the skin. These are vitamin A derivatives found easily in over the counter products. There are various forms – look for ingredients such as: retinol, retinyl propionate, and retinyl palmitate. Retinols have the ability to reduce blackhead formation and help fade red or brown marks or staining left in the skin after acne. They can cause irritation and their use should be gradually built up to prevent excessive dryness, redness or peeling. This is otherwise known as vitamin B3. In skincare preparations it has been shown to regulate oil production and improve pore size. It also has the additional benefit of making skin tone more even so can help fade the marks left behind by previous acne. Tea tree oil is one of the few essential oils that has scientific evidence base to recommend its use. The oil is derived from an Australian tree (Melaleuca alernifolia) and contains a number of antimicrobial substances. It has a slower onset of action than benzoyl peroxide, but can be less irritating for the skin. If you are still having problems with regular breakouts or acne despite regular use (few weeks) of these topical agents then it is time to seek medical attention from either your GP or a consultant dermatologist. Acne and acne scarring are both treatable conditions and help is at hand if needed. No one should have to feel ashamed or embarrassed about acne in this day and age and finding a sympathetic doctor may be a step in the right direction if other measures fail.